I use my gym bag more than I do my purse! A matter of fact, I don’t even CARRY a purse during the week! A rely on my gym bag to carry all my belongings around. That is also why I don’t want to lug an ugly bulky manly bag from home to work to the gym or whereever! So when I recently discovered Fivesse Home-Gym-Work Bag, I instantly fell in love! Maybe it was the soft pink accents. 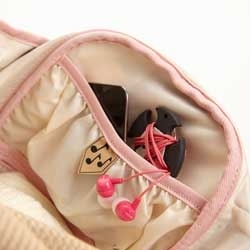 Maybe it was the cute tabs on all the pockets to help you organize your things. It could have been the pretty color combinations and patterns. When I try to pinpoint it, I simply can’t! I think it’s D: All of the above! I got my bag with a matching garment bag for those times I need to have a nice change of clothes on a hanger instead of all bunched up in a gym bag. This was a super nice addition and perfect for any career woman or traveler. This bag would also be a fantastic carryon for those quick trips. 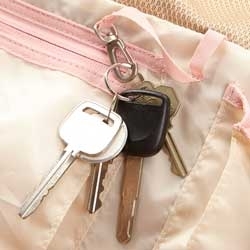 Separate laundry pouch for wet clothes! 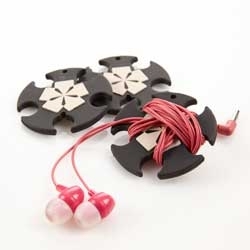 Cool little gadget in the shape of their logo to wrap chords, organizing headphones or USB chords for charging iPods or iPhones. Not one, but TWO bottle holders!! 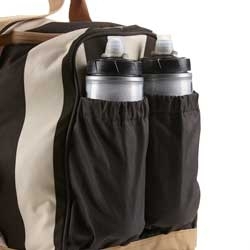 This is great for me since I like to have a water bottle AND a spot for a travel mug, energy drink or protein shake! Love all the pockets! It makes me feel SO organized! 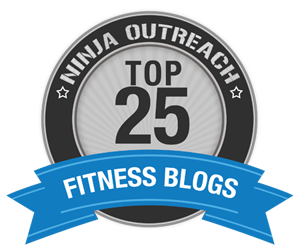 Hello, after reading this awesome post i am too cheerful to share my experience here with colleagues. Love it! Must have one…. 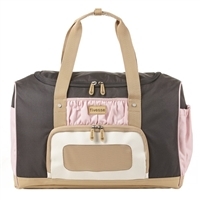 What a darling gym bag! 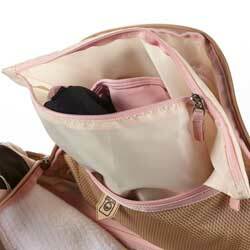 With the garment bag it would be a terrific travel bag also! I’ve added it to my birthday wishlist!